Everyday Fashion and Finance: Stella & Dot Giveaway! Hi, everyone! I am back! Stacey and I had an amazing trip, and I cannot wait to share photos and tell you more about it. If you follow me on IG, then you have probably seen a few of the photos - we hit a few WiFi spots along the way ;) I am still getting into the swing of things, unpacking and catching up on life and work. Did I miss anything good while I was gone? Such an easy way to add this great statement piece to your collection! Check out my earlier post for some of my Stella & Dot picks. 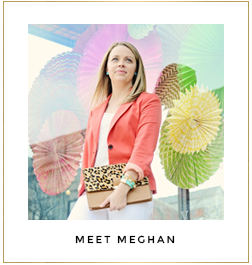 When you are shopping the trunk show, make sure it says "Shopping Meghan Crane's Trunk Show" at the top of the page, so that your purchase gets counted towards the giveaway! And, don't forget that the trunk show ends March 30! Also, while I was gone, I was selected again by Amy over at Coffee Beans and Bobby Pins as a part of her Friday's Five! I am having such a fun time being a part of her link up and getting to know other bloggers. Learn more about her Friday's Five link up and see my feature on her blog! Hope everyone is doing well! Looking forward to catching up with you and getting back into the swing of things!